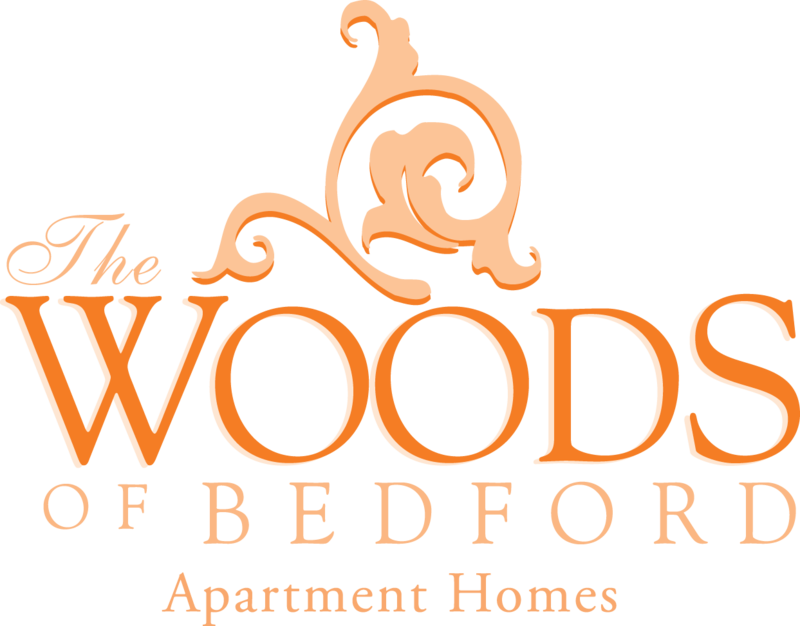 The Wood of Bedford is a great community to live in. The market value is reasonable. The location is centralized, close to several amenities. Hi Jason, Thank you for your recommendation! We love our residents, community and location too! If you need anything at all, let us know. Sincerely, Karla Henley. I have a great experience when working with Mrs. Danielle she is Always Pleasant with everyone and very helpful with everything. I don’t know what is with everyone else but they are rude . Hi Aisha, Thank you for your review! We are so happy to hear Danyelle was helpful and pleasant to work with. Please let us know if you need anything at all. Sincerely, Karla Henley. My family & I have enjoyed living here for going on 12 years now and I must stay it is one of the best places we have ever lived. The people in the office are always friendly and the maintenance people are always prompt and professional. I have always been impressed at how fast the response is when I do need something fixed which is not often. Hi Dennis, Thank you so much for your wonderful review! We appreciate you and we love our residents! Thanks again, Karla Henley. The Rental Office people are very nice and helpful...each time that l call they have answered me with politeness and great customer service. Hi Tomona, Thank you for your 5 star review! We appreciate your kind words and if there is anything we can do please just give us a call! Sincerely, Karla Henley. Excelente lugar para vivir vecinos amables y apartamentos amplios. Muy recomendable vivir aquí. Muy buen servicio, no ay vecinos ruidosos todo muy bien . Hi Rogelio - Thank you so much for your review! Sincerely, Karla Henley. Quiet, peaceful, beautiful, and great maintenance requests response time for services. Customer service is excellent and scenery is awesome. Hi Demiesha- Thank you so much for your review! We appreciate you very much. Please let us know if there is anything we can do for you. Sincerely, Chaning Lankford, Admin. I love the location, there are plenty of stores around and a park not too far. Maintenance always responds in a timely manner and rent is significantly cheaper compared to similar apartments in the area. I have no complaints and just renewed my lease! Dear Resident, We know how important it is for residents to live in a quiet, responsive and friendly apartment community. We are glad that you find all of this in our community. Thanks for your exceptional review! Sincerely, Chaning Lankford, Admin. The community is quiet. Maintenance is quick and reliable. Trash is being handled better by my area but sometimes I still see trash bags outside the trash bins. Hello Emily, Thank you for the recommendation! It makes us so happy to hear that our residents are enjoying our community. Our residents are our top priority and we are here to help out in any way we can. Please do not hesitate to visit us at the Resident Service Center with any questions or concerns. Sincerely, Karla Henley, Community Director. Overall it has been pretty solid. Maintenance is always great about getting back to me whenever I send in a request and the apartment I'm currently in is what I'm currently looking for at the moment. Hi Jevin - Thank you so much for your review! We appreciate you very much. Please let us know if there is anything we can do for you. Sincerely, Karla Henley, Community Director. I moved to apartments based on friends recommendation. They enjoyed their stay and so have I. Excellent choice!!! Will definately pay it forward!!! Hi Hannah- Thank you for the shout out! We really appreciate you and that you gave us 5 stars! Please let us know if you need anything at all. Sincerely, Chaning Lankford, Admin Asst. I’ve lived here for two months so far and everything has been great. Staff and maintenance have been awesome! 10/10 would recommend to friends! Hello Anthony, Thank you for the shout out and awesome review! We hope to have you as a long time resident here at The Woods. If you need anything please contact us at the Resident center!! Sincerely- Chaning Lankford-Admin Asst. Hi Chris- Thank you for the shout out! We really appreciate you and that you gave us 5 stars! Please let us know if you need anything at all. Sincerely, Chaning Lankford, Admin Asst. We are very happy here. We love the area, neighbors and the set up in our apartment. Thank you for allowing us to experience a great place to live! Hello Virginia, thank you for the amazing review and kind words for our hard-working team! We make every effort to provide the highest living experience to our community and invite you to continue sharing your feedback and suggestions. We love to hear from our residents! Sincerely, Chaning Lankford, Admin Asst. HI Rafael, Thank you for your five star review! We would love to have you! Please call or stop by the office. Thanks again, Karla Henley, Community Director. older apartments and the paint is old and falling off of the walls and cabinets. The staff is friendly and they are good about being late on rent. Hi Carrie, Thank you for your review. We really work hard to make our residents happy! Thank you again! Sincerely, Karla Henley, Community Director. Hi Nate, We are working hard to update our laundry room facility with new washer and dryers. Our gym has been updated recently and would like to discuss your concerns further. Please stop by the office or give us a call. Thanks again for your review. Sincerely, Karla Henley, Community Director. So far I have greatly enjoyed my experience as a resident. The complex is quiet and provides a feeling of safety and security. I was also very pleased with how quickly maintenance responded to my request when I needed something. Dear Resident, We know how important it is for residents to live in a quiet, responsive and friendly apartment community. We are glad that you find all of this in our community. Thanks for your exceptional review! Sincerely, Karla Henley. The community has a very pleasant and warming feel and, the staff is very friendly and helpful. Anytime I’ve visited the Residental or Leasing Office, they have made me feel welcomed. This is also a very quiet place to live and the location very convenient to many restaurants and major highways. I’ve been a resident for many years and would highly recommend! Been here like a mth going on two.The price is good the townhouse is nice and roomier for me and my kids but there's always a BUT....the people's around the is reallly trashy alot of the balconies and front porch are really cluttered with stuff and trash and also watch out where u step there's like LOTS AND LOTS OF DOG POOP everywhere the kids know's not to step on the grass i never seen a complex very dirty and poop everywhere .I wish this complex would give notice to this people or should be fine.That tells you about what kind of people live here also when taking a shower u cant enjoy a hot shower because it runs out quick i hate that.Let see what the year has stored for us here. Dear Adolfo, Thank you for sharing your honest observations, Adolfo. Our goal is to keep the community in top-notch shape, so your feedback is helpful to us. We welcome you to stop by the office or call to let us know which area needs our attention. Thank you, Karla Henley, Community Director. Hello Camellia, Thank you for the shout out and awesome review! We hope to have you as a long time resident here at The Woods. If you need anything please contact us at the Resident center!! Sincerely- Chaning Lankford-Admin Asst. Safety is priority and I love that this community share those same values! I love that this community doesn’t steer away from the festivities but rather enjoy and celebrate them as a whole. Dear Erica - Thank you for your five star review! We love our community and residents. We appreciate you very much! Thanks again for your wonderful review. Sincerely, Karla Henley, Community Director.